The appalling lack of urgency being attached to the Wildlife Resources Management Bill, according to Friends of the Earth (FoE) and EcoCare Ghana is frustrating their efforts and further exposing the sector to severe danger. 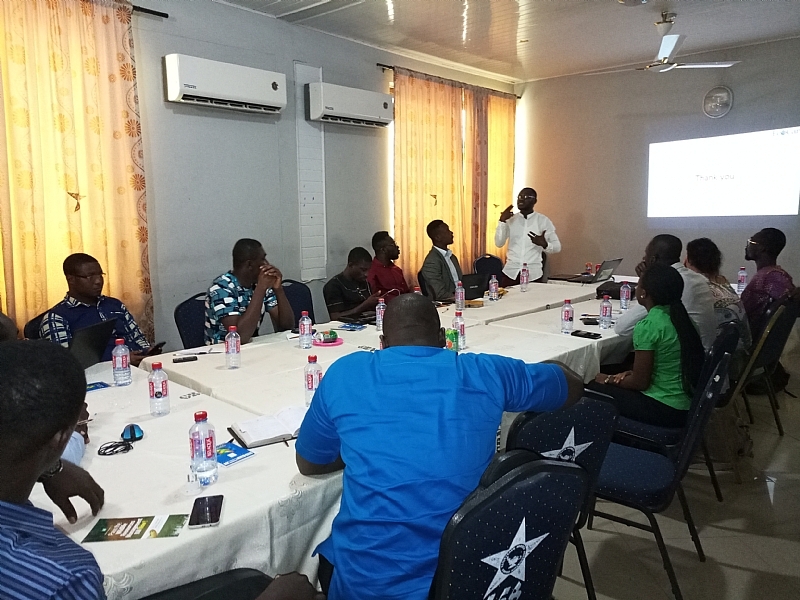 Speaking at a media workshop in Accra, the Managing Campaigner of EcoCare Ghana, Obed Owusu-Addai said the new Wildlife Resources Management Bill has been roaming in the corridors of Government since 2011. He noted that the bill which is being considered the panacea to protect the forest and animals from further destruction is suffering setbacks due to the back and forth approach by Parliament. According to him, the first draft of the bill which was produced in 2011 alongside the Forest and Wildlife Policy, went to Parliament but shot down at the stakeholder consultation stage in 2012. Mr Owusu-Addai added that the second draft which lots of stakeholder inputs and advocacy were made in 2014 was referred to the Parliamentary committee after it was laid before Parliament. He indicated that the draft bill went for a second reading but caught up in government bureaucracies and the lifespan of that Parliament also elapsed in 2016. Mr Owusu-Addai stressed that at the latter part of 2017 Civil Society began discussions on resurrecting the bill and through advocacy, the Ministry of Natural Resources resubmitted the Bill with “fresh” amendments to AGs department before sending it to Cabinet. “The Bill is currently with Cabinet awaiting accent to be resubmitted to Parliament. Whiles, it’s at the Cabinet level, there is very little that Civil Society can do to influence the content,” he intimated. He noted that despite the bitter trajectory, they are still confident that the bill will see the light of the day considering the fact that it seeks to domesticate the international conventions and treaties of which Ghana is a signatory. “We are getting fatigue because since 2011 we began the process, we have dealt with two different Parliament and this is the third Parliament. We began in 2011 when we submitted the bill and in 2012 Parliament elapsed and it couldn’t be passed. We resubmitted the bill in 2013 and 2014 it went to Parliament for first and second reading but still could not be passed. The 2016 Parliament also elapsed without passing it. The bill has been submitted to Parliament and currently, the bill is before Cabinet and we are waiting for Cabinet memo to be issued for the Ministry to resubmit it to Parliament. So in all of these, we can’t say we are tired but we are getting fatigued day by day,” Mr Owusu-Addai emphasized. According to him, the wildlife sector is undaunted with several laws with some parts of those laws rendered redundant because of repeals and changing trends in wildlife management globally. He posited that there are about 18 different laws which exist in the sector─ a situation which makes it difficult for one particular law to be applied. Mr. Owusu-Addai intimated that the new bill also seeks to streamline the existing laws taking into consideration international treaties and conventions which Ghana is a member.